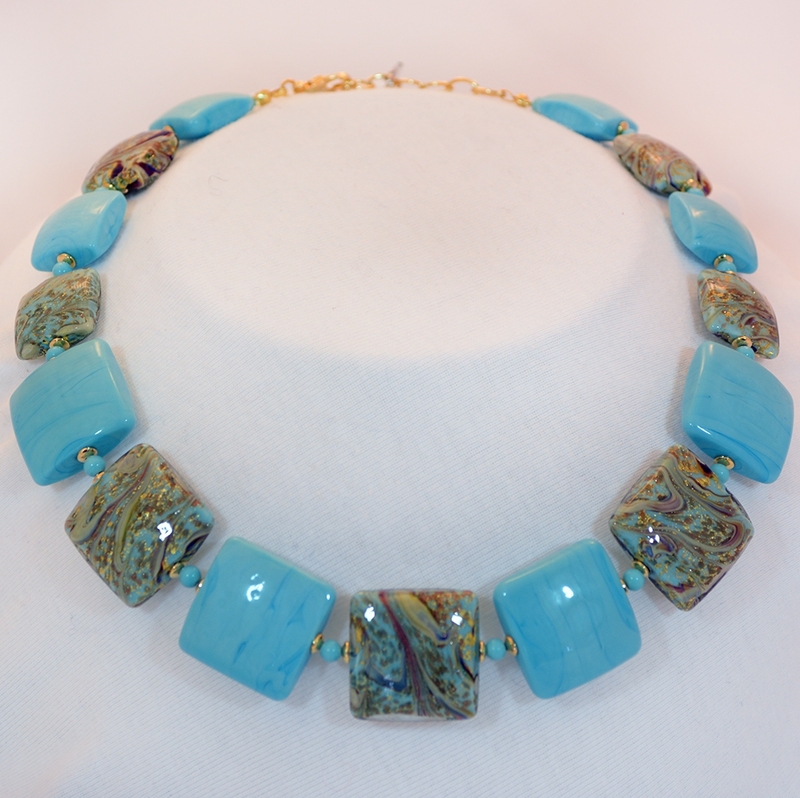 Blue And Gold Necklace - Murano Glass Jewelry - Murano Glass Gifts Co. 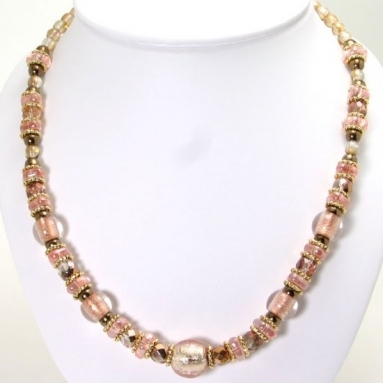 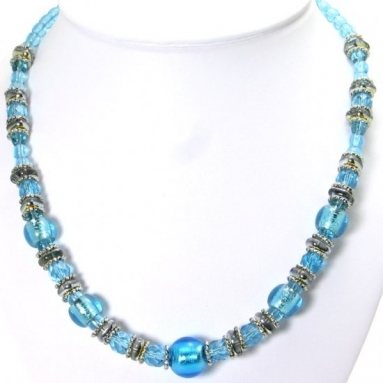 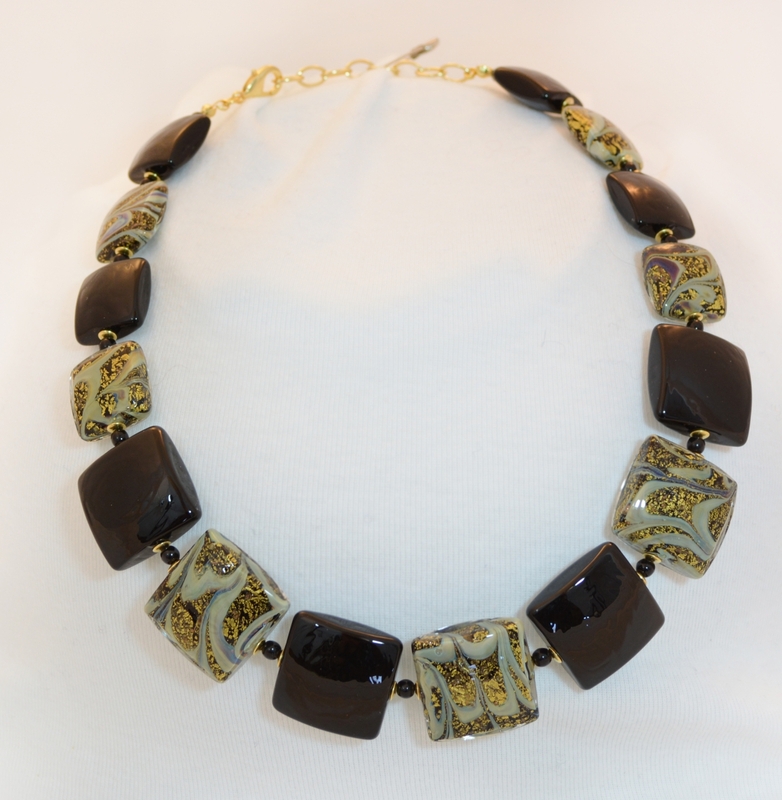 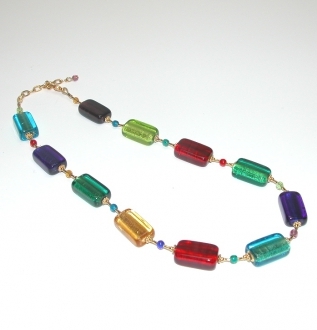 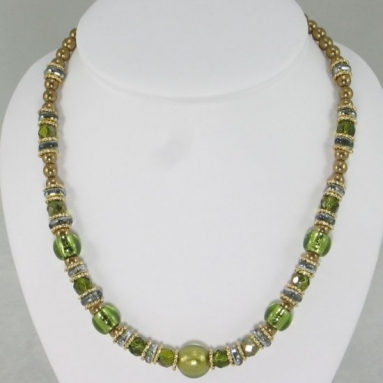 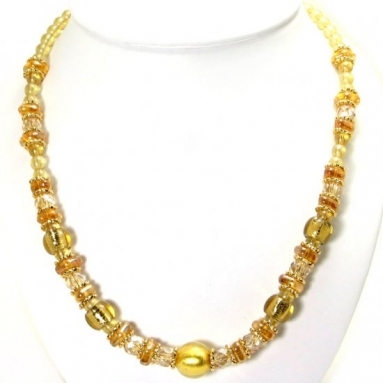 This is a highly stylish Murano glass beads necklace. 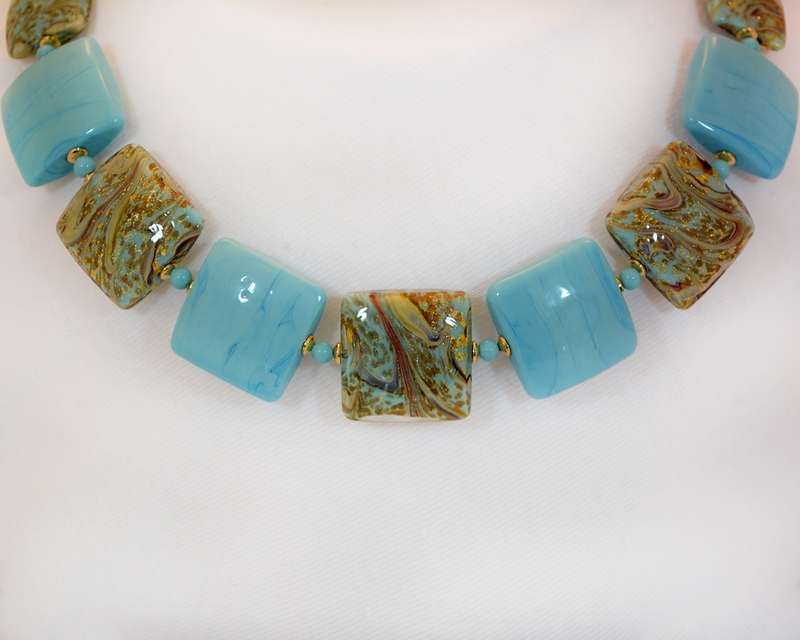 Each of the turquoise beads is fashioned individually by the master craftsmen of Murano. 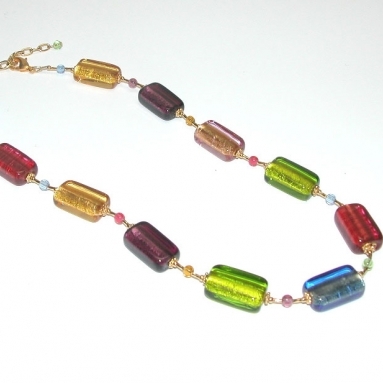 The flat beads hug your neck lovingly. The plain opaque glass beads are alternated with turquoise toned calcedonia beads. 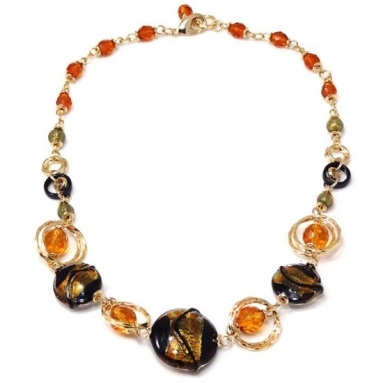 This necklace is an ultimate style statement. This can be worn in formal business parties and meetings. 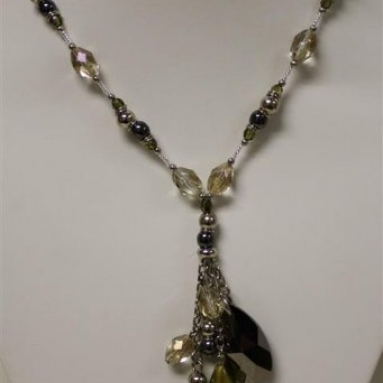 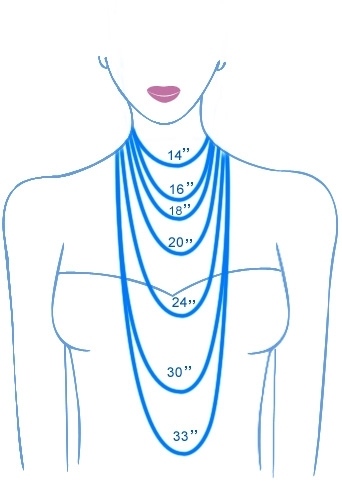 Length: 15.5" + 3" extension chain to make sure the necklace feels comfortable.